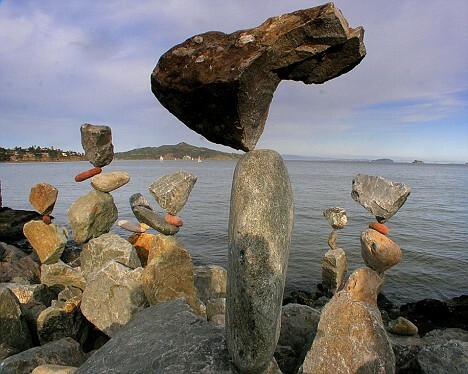 Trip-Advisor scores it # 11 out of 45 things to do Sausalito, California. No, it not’s the iconic Golden Gate Bridge or Point Bonita Lighthouse. Neither is it one of the fantastic local restaurants or bars. What’s more, in what can be a fairly pricey area, this attraction won’t cost you a penny. 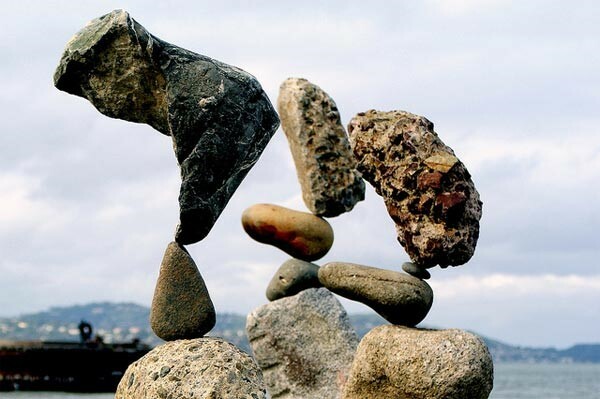 It’s the gravity-defying rock sculptures of local performance artist, Bill Dan. So impossible his work seems, most initially assume there’s a trick: magnets, hooks, cement, or pre-worked or prefab construction materials. Watch for a while, get up close, and you’ll see there are no tricks or shortcuts. 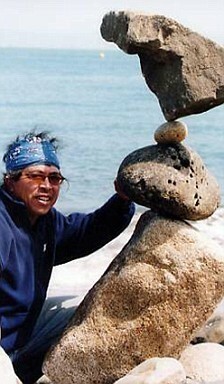 Rather, Bill Dan has vision, a deep understanding of the materials he works with, and perseverance. Three qualities that, it turns out, are essential in any implementation. Over the last decade, I’ve had the pleasure of working with agencies and healthcare systems around the world as they work to implement Feedback-Informed Treatment (FIT). Not long ago, FIT–that is, formally using measures of progress and the therapeutic alliance to guide care–was deemed an evidence-based practice by SAMHSA, and listed on the official NREPP website. Research to date shows that FIT makes the impossible, possible, improving the effectiveness of behavioral health services, while simultaneously decreasing costs, deterioration and dropout rates. Over the last decade, a number of treatment settings and healthcare systems have beaten the odds. Together with insights gleaned from the field of Implementation Science, they are helping us understand what it takes to be successful. One such group is Prairie Ridge, an integrated behavioral healthcare agency located in Mason City, Iowa. Recently, I had the privilege of speaking with the clinical leadership and management team at this cutting-edge agency. Click on the video below to listen in as they share the steps for successfully implementing FIT that have led to improved outcomes and satisfaction across an array of treatment programs, including residential, outpatient, mental health, and addictions. P.S. 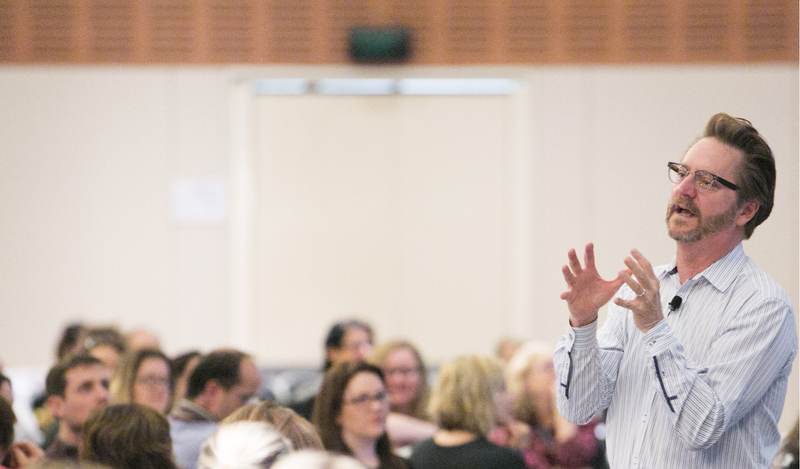 : Looking for a way to learn the principles and practice of Feedback Informed Treatment? No need to leave home. You can learn and earn CE’s at the ICCE Fall FIT Webinar. 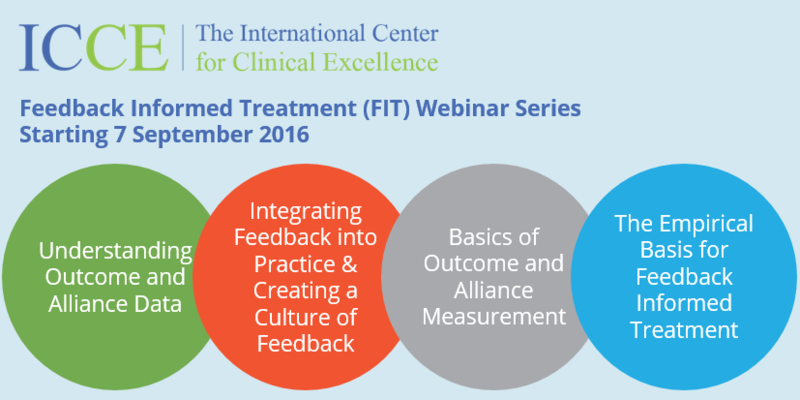 Register today at: https://www.eventbrite.ie/e/fall-2016-feedback-informed-treatment-webinar-series-tickets-26431099129. Nice to see how this was implemented. Thanks for sharing Prairie Ridge. I would like to see how we can get some feedback on the long-term outcomes of the ‘frequent flyers’. Robert Whitaker’s criticism of some services is that there have been massive increases in welfare beneficiaries over the past few decades due to behavioural health issues. These stats don’t show up when our focus is on episodes of care. So if someone is a returning client, can we monitor if they are in full-time work or study; or if they are on welfare? Are there other ways of showing this?